DX Delivery is a mail, courier and logistics company serving the United Kingdom and Ireland. The company provides a range of business-to-business and business-to-consumer services, including same day and next day delivery. DX generally competes with the Royal Mail, Parcelforce Worldwide, Hermes, FedEx, Yodel, DHL and UPS. DX Secure items can be traced using the company’s online tracking service. In order to track an item, a tracking number is required. Users of the tracking service will also be asked to provide the postcode of the original delivery address. Tracking numbers are found on notification emails or letters from DX. When an item cannot be delivered, a DX courier will leave a delivery calling card with the tracking number. DX is an independent logistics and parcel distribution company operating in the United Kingdom and Ireland. Based in Iver, the company has operational hubs in Northampton, Nuneaton, Warrington, Willenhall and Dublin. Founded in 1975, the company has been private since 2006. During the company’s early years, it was the only next-day alternative for business-to-business and business-to-consumer mail during the Royal Mail postal strikes of the 1970s. Today, the DX Group includes DX Network Services Limited, DX Secure and DX Freight. The company is primarily used by public and private sector organisations for next day delivery of mail, parcels and two-man deliveries. Many of the company’s customers include online and high street retailers, as well as law firms, accountancy firms and banks. It is also a provider for the UK government and foreign embassies who require shipping of identity documents and visas. DX also provides customer-driven solutions for time sensitive, mission critical, two-man and high value deliveries with a variety of mail, courier and freight options. According to DX, the company delivers more than 170 million items every year. Common items handled by DX include legal and identity documents, credit cards, event tickets, furniture, white goods and business critical items. Approximately 5.5 million identity documents alone are transported through the DX network each year. The company operates 350 nightly truck routes and from more than 50 locations, including over 20 depots across the UK and Ireland. DX also has a vehicle fleet of over 2,500 on any given day and employs about 5,500 people. 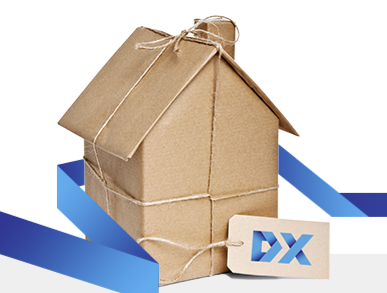 DX offers a range of services, including delivery of mail, packets up to two kilograms, and parcels over two kilograms. The company also has a range of premium services designed especially for public and private sector clients. DX provides door-to-door service and does not permit the pick-up of items from its depots in order to ensure high levels of security. DX Mail is used by businesses that send mail to consumers. The service is available for domestic and international mail, including business-to-consumer and business-to-business mailings. Items are generally collected by DX couriers directly from clients. Final delivery, however, may be made by the Royal Mail or another mail service outside of the UK. For domestic mail, service options include Tracked Mail for high-value mail. Items sent with this option can be tracked online at any time and are shipped securely. Other service options include DSA Mail, an alternative for the Royal Mail’s 2nd Class service. DSA Mail is available with three-day delivery. Final delivery is by the Royal Mail. It is designed for businesses and organisations that send 30 or more items per day. DSA Mail saves at least five per cent on Royal Mail 2nd class Franked rates. There is also no need to frank mail. For business-to-business mail, Mailshot is also available for sending mail to approximately 25,000 DX Exchange members. For international mail, DX offers worldwide air mail. Delivery times range from three to five days within Europe and between seven and ten days for destinations in the rest of the world. The service is available when sending 50 or more items of international mail per day. DX does not require franking or weighting of individual items, which reduces preparation time when sending high-volume mail. Invoicing is also monthly rather than pre-payment using a franking machine. DX Secure is available for the delivery of small parcels and sensitive mail using a tracked delivery network. It is intended largely for business-to-consumer shipments. The service is designed for online retailers, ticketing organisations, financial services, the public sector, and other organisations and businesses that require proof of delivery. DX Secure is available with delivery before 1:00 p.m., next day delivery and three-day delivery options. DX Secure includes a variety of value-added features. Photographic and GPS evidence of delivery is provided, and there is a full end-to-end audit trail when requested. Secure handling and real-time tracking is also provided. If an item is not delivered, a calling card is provided to the recipients in order to rearrange delivery for a more convenient time. The service is primarily intended for shipping items of up to 15 kilograms. Service features include Secure Post for real-time tracking of items and signature on delivery. DX2Home is also available for lower value items with recipient signature for proof of delivery and the option to leave the item with a neighbour or in a designed safe place when the recipient is not home. Other options include Mandatory Signature for valuable items and Disguised Mail for valuable items sent by the Royal Mail to reduce the risk of interception. An alternative to DX Secure is DX Courier, a business-to-business service for next day parcel delivery. 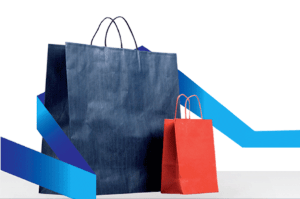 The service is used by high street retailers, large warehouses supplying goods to small-scale retailers, local and central government, travel agents, repairs businesses, financial institutions, and other businesses. DX Courier provides guaranteed delivery by 12:00 p.m. for items weighting up to 25 kilograms. Saturday delivery is also available at an extra charge. DX Courier has a range of convenient features, including flexible price options. The service also includes proof of delivery, online delivery confirmation and barcode tracking. There is also an option for simultaneous collections where DX also picks up items when delivering parcels. Clients have the option for signature-required shipments where the receiving customer must sign for an item. Alternatively, clients may opt for track-only where no recipient signature is needed. Both options allow clients and recipients to track the item. DX Exchange is a private business-to-business (B2B) network for quick, reliable and secure delivery of parcels, documents and pouches. It is available five days a week for next day deliver before 9:00 a.m. for items up to 25 kilograms. The service is used by public and private sector players, including government, law firms, financial institutions, and other businesses and organisations with an internal branch network. DX Exchange connects 25,000 member organisations using 4,500 exchanges throughout the United Kingdom and Ireland. The service includes email confirmation when items are en-route and real-time online tracking for tracked services. DX Exchange is used to send items to other DX members. The service is available with two options. Tracked Mail is for priority or high-value items and is available for £3.75 per document, parcel or pouch. DSA Mail is a 2nd class mail service for postcode-addressed mail. An alternative to the Royal Mail’s 2nd class Franked mail service, the option is available for sending 30 or more items per night with secure nationwide 3 business day delivery. Unlike the Royal Mail’s service, items are not franked. DX Exchange is also available with Mailshot, a convenient way to market a business with other DX members. 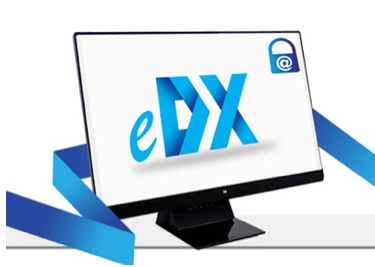 DX Exchange clients can use eDX, a UK Government certified encryption product that enhances security. The service ensures all internal and external communications are secure with additional security layers and features. It provides a full audit trail to track any email, as well as the ability to access secure data using secure email on any device. eDX is free for DX Exchange clients and their supply partners. DX Courier and Mail have size and weight restrictions that may not be suitable when transporting certain white goods, furniture and other large consignments. DX Freight is available for all items, regardless of the size and shape. The service is offered for delivery throughout the UK and Ireland. All one-man deliveries, which typically include consignments of items weighting up to 30 kilograms, are made door-to-door. DX Freight clients have access to I.T. solutions that are customised to individual requirements, as well as flexible operational solutions. DX 2-Man is a two-person home delivery service designed for retailers and manufacturers. The delivery option leverages DX’s one-man network, although it is designed for heavier and larger items weighting between 30 and 150 kilograms. These might include white and brown goods, large furniture, bathroom and kitchen products, leisure and sport equipment, outdoor equipment, and other over-sized and heavyweight consignments. Delivery is provided to a designed room. Additional value-added service options include assembly, packaging removal and wet connections (for example, plumbing connections for a washing machine). In order to arrange the DX 2-Man service, customers can provide recipients with delivery details in store at the point of sale. Alternatively, DX customers can link their website with DX’s web booking tool to automatically give recipients with delivery options. Alternatively, DX can arrange delivery with recipients on behalf of a DX customer. Bookings are also possible when using DX’s online portal. DX also sends advance text messages or emails provide a morning or afternoon delivery window. DX provides courier services for transporting biological samples according to high industry standards. The company provides next-day courier services for Category B specimens with delivery before 9:00 a.m. and collected after 5:00 p.m. It also offers pre-booked same day collection and delivery to any UK address for Category A specimens, which are infectious specimens. Every secure sample is barcode tracked and a signature is required when delivered. DX Logistics is available for suppliers and other businesses in a range of sectors. The service can be customised to meet individual supply chain needs and requirements. DX is capable of managing end-to-end supply chains as well as provide full project management services. The company is also able to arrange temperature-sensitive chemical distribution, and provide installation services for kitchen and bathroom products, stationery handling and desk-to-desk services, time-critical spares to field staff, mechanical handling storage and preparation and international delivery. DX distributes goods around the world. The company works with its customers to arrange local collection, handle international documentation, and provide other support when needed. DX is partnered with NetExpress Europe, a road-based express network in Europe for business-to-business and business-to-consumer deliveries. DX’s partnership with NetExpress Europe enables delivery to 36 countries using a single network. DX also uses NetExpress Europe’s Air Express service for worldwide deliveries and its Freight Desk for importing and exporting by air, road or sea. The partnership also provides DX customers with access to NetExpress Europe’s Eurobag service for sending documents and small items weighting up to five kilograms for certain countries. Eurobag is available for delivery to Austria, Belgium, Bulgaria, Czech Republic, France, Germany, Hungary, Latvia, Lithuania, Luxembourg, Netherlands, Poland, Portugal, Romania, Slovakia and Spain. DX Despatch is an online version of the company’s despatch management system, which is also available as a software product for DX costumers. DX despatch is available for DX customers and is used to organise deliveries and track items sent with DX. The service also includes a variety of customer service tools. DX uses a web-based booking system that allows its customers to print shipping tables, create and maintain a database of shipping addresses, produce invoices, and send electronic house air waybills to a local DX Service Centre. There are a variety of head office and operational career opportunities with DX. Positions range from service centre managers to warehouse operatives and collection and delivery managers to general sorter positions. The company also employees human resources and finance specialists. For current vacancies or for more information about working with DX. Alternatively, contact the DX Human Resources team at . DX also hires self-employed couriers. Couriers deliver mail and parcels from DX’s network of depots. They have the flexibility to choose working hours and generate income while working for DX. Couriers must have a valid driving licence, business insurance and pass an internal vetting process. 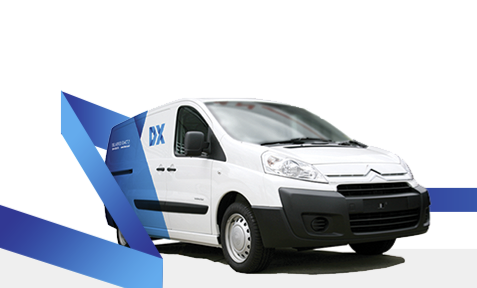 If a courier does not own a van, DX has negotiated rates with a fleet company. The registered address for DX Group Limited is DX House, Rideway, Iver, Buckinghamshire, SLO 9JQ. The company can also be contacted by completing an online form or calling 0844 826 1178.
waited in all day today, wednesday 22 march for tracking no. dx1279 8372 5gb but nothing was delivered. when will it arrive? needed urgentl. DX125104415GB is not yet delivered. M waiting for my Corier .it still not has come. Seens morning I have been waiting. Hello, I received no charges to 9.30 pm? my no-17591176.pocode-PO20 2JB? Miroslaw Bukowski. ?Please information .. I have waited all day for my parcel which never arrived. When I tracked online, you claim you tried to deliver and left a calling card. I have been home all day and there was no calling card. I want an explanation on what happened, I wasted an entire day waiting for the delivery! I have a delivery out today which has not arrived. Tracking number is L2580479. I have waited in all day as instructed. This is not satisfactory as I have urgent business to attend to tomorrow and Friday and cannot guarantee I will be here to accept the delivery. Please provide a one hour slot for the delivery of my item. If you cannot do this I shall contact the sender and cancel the order. I have stayed in all day,taken a day off work expecting my delivery of a by fold door between 8am and 18.00 on 29/11/16.it has not been delivered I am not happy. I have sent your company many messages online today and nobody called back to me!!! My passport was delivered to my flat today but when I track it online it says it’s been unsuccessful because the delivering man could not get into the property and not able to leave a calling card. But what annoyed me is that he could have contacted me via my mobile phone.Otherwise why do you guys need my number when I provided it at the TLS office???? Now I want to change my address. And the redelivery system just won’t work and saying tracking number and original postcode do not match. But I can still track the status of my item.That’s really!! !really weird!!! Reply to me ASAP or I will be real mad at you okay? My given delivery day was for Monday 5th September. I stayed in all day ready to receive my delivery which did not arrive. I am unable to be at home on the morning of the 6th September, so please leave my delivery in my garage which will be left unlocked. My paper work from Wicks is clear that the agreed delivery date was for the 5th Sept. so what had gone wrong, I have wasted one whole day and to say the least not to pleased. I have waited in all day for my delivery ,apparently you have the only delivery driver who can not find this address disputed the roadside singh ? Tracking no. 10777662 post code ip221qg .ineed this today hence I am extremely annoyed I have a carpenter waiting for it. it is now 1255 waiting for my 0900-1300 delivery. I am still waiting for the delivery. Never mind the ‘corporate speak’ rubbish on your web site. You fail to live up to it. Your texting is useless and the so called tracking is pathetic and uninformative. This inability to deliver at the customers convinence in this case, has caused are visitors to cancel a visit and ruin our day. IT IS NOW 1312 AND I WOULD RATHER BE DOING SOMETHING ELSE. I have not received my parcel for one week. The status online of parcel is you cannot find my address. But I am not able to make redelivery and nobody contacts me. I am lost. one of my staff signed for six parcels today – five of which are not ours. Color Worx Ltd. PO20 8BN 01243670714. Is there just one out today for us? Other for ABT Plastering Selsey. I sent the email below along with a completed Mailshot Booking Form at 10.25 on Thursday morning and have not yet (5.39 pm Thursday evening) received a reply so am re-sending in case you did not receive it. I would be grateful if you could send the MLS reference number asap. Can you please help me. You have tried to deliver an item while I was out and have sent me a text from your message centre +447802000332 on 6th May 2016 @ 10.52.02. I am trying to find my material that I ordered it was to come yesterday but it did not come my postcode is TN299JF . Dear Sirs – I would like to commend your delivery employee Charlie.J, based out Bristol, Patchway Depot, UK. He called me today on my mobile phone for specific instructions on where to post my passport delivery and I guided him in to ensure it was placed in the correct mailbox. Outstanding service and I highly commend him for both his initative, patience and customer care. Thank you DX team and Charlie in getting my passport to me! This system is chronic. I have tried repeatedly to track my item but the system doesn’t work. When I phone through all I get is automated service trying to arrange another day delivery. The phone calls to customer services cost 7p a min and was confusing and lengthy. It started redirecting me to another service so I had to hang up. My Order number is P18222744 and the consignment number is L8503462. From the pre delivery email just sent to me the post code is wrong. hi, I think I have 2 parcels with you. What a scam it is to make us pay 7p per minute and leave us waiting for many minutes, just because they can. There is no need to pinch every penny from people when they get paid to deliver items. GET A REGULAR BUSINESS LINE WITHOUT PAY PER MINUTE ON IT….LIKE THE REST OF THE WORLD. DX delivered our mail packet whilst we were on holiday, we arranged a redelivery and received an email confirmation that the mail would be delivered on Thursday 19 November between 9.0 am and 5.0 pm..I have stayed in all day and received nothing neither a call or email to inform me what is going on…I can’t phone and speak to anyone, basically this service is rubbish and I still have no idea if this important delivery will ever arrive. Hi there! DX Tracking says 4 of 4 items delivered . Signed: RICHARD on 09/10/2015 12:36:00. Should be with you, right? According to your tracking service my parcel was delivered and signed for . I have been in all day and not received it. Unable to find any telephone number for the department on line. Please could you get back to me as it is an item needed for a repair.